On Wednesday November 18th, WagonWheel Presents… welcomes Quiet Loner back to Sheffield as part of his latest UK tour, playing new songs ahead of a forthcoming new album. 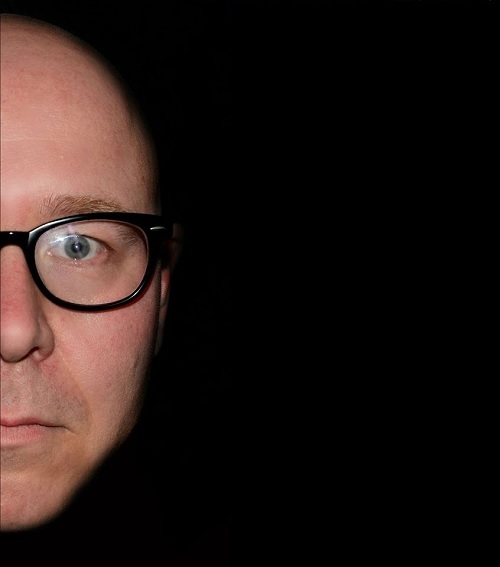 Quiet Loner is the pen-name of songwriter Matt Hill. Quiet Loner sings songs about love and fear, life and death, despair and hope. On a live stage Hill is an understated yet powerful performer delivering a show that is emotional, political, occasionally angry but nearly always gentle and human. Joining Matt for the evening at The Greystones will be Joe Solo. 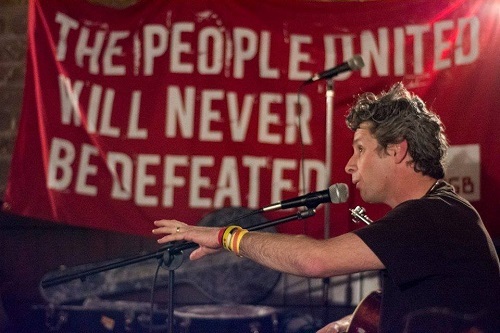 Solo has a growing reputation as both a performer and raconteur, being thought-provoking, comical and punch-the-air political often in the same breath. He is not an artist you forget in a hurry. Advance tickets priced at £6 are available from http://www.wegottickets.com/event/324021 and the venue (12-6pm) or entry on the night will be £8. Doors open 7.30pm for an 8pm start. Joe Solo is a musician, writer, historian, broadcaster and washing machine engineer from Scarborough. His musical odyssey began in 1987 fronting a bash-em-out band at school, and has seen him play seven countries either as lynchpin of pop-punk upstarts Lithium Joe or hammering out his unique brand of Folk, Punk and Blues in his own right. On top of releasing thirteen albums since 2004, Solo has written books and had them written about him; runs a research project on the Hull Pals Battalions in the First World War which he updates daily online; has worked with underprivileged children to help them write their lives in song; and still found time to open for the likes of Chris Wood, Otis Gibbs, Robb Johnson, Edgar Broughton, TV Smith, Paul Simmonds, Justin Sullivan, Emily Portman, Pete Wylie and The Blockheads; whilst his songs have been played by both John Peel on Radio One and Mike Harding on Radio Two. In late 2014 he began fronting The Joe Solo Show, a weekly broadcast on Radio Scarborough from 10pm on a Monday night. The shows quickly gained some notoriety for not only their genre-hopping journeys through a century of recorded music, but for Solo’s commentary on current affairs which held nothing back. Live, Solo has a growing reputation as both a performer and raconteur, being both thought-provoking, comical and punch-the-air political often in the same breath. He is not an artist you forget in a hurry.